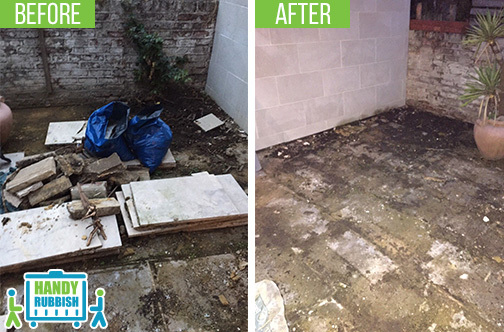 Handy Rubbish has been offering quality rubbish removal services in Tower Hill, EC3 and the neighbouring areas for many years now and one of the most notable features of the company is the affordable pricing. We have been offering our services at the most competitive pricing and this has resulted in numerous lasting connections with our customers who are completely satisfied with the service they are getting. The customer reviews on our website will provide an insight into what our customers feel about us and our EC3 waste collection service. If you want to know more, give is a call on 020 3540 8282 and we will be happy to assist you. Did you know that the waste produced at each household on a daily basis adds drastically to environmental degradation if not managed properly? However, there is a solution to this problem: waste recycling. While it might be difficult for home and business owners to manage their waste and then get it recycled, for us, it is our job. With more than 85% of the waste recycled, our Tower Hill waste removal company is setting the benchmark for other companies to follow. If you are concerned about your role in protecting the environment, join hands with us to maximise recycling and minimise damage to the environment. 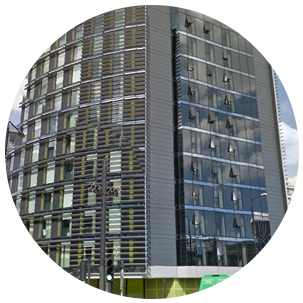 If you live in and around Tower Hill, call us right away to discuss your EC3 rubbish clearance requirements with us and make a booking. We take our role in the society seriously and when it has direct impact on the environment and lives of all the residents, it is our duty to make sure we do our utmost best. With that in mind, we have strived to find and employ the best professionals for rubbish clearance and trained them well when it comes to professional rubbish disposal in EC3. With the best team of Tower Hill waste clearance experts, we are the only company who provide free advice and information regarding waste management and proper disposal. Our punctuality and consistency means that we will always be on time and your personal schedule will never be affected. We also provide our services on holidays and weekends for no extra cost to ensure convenience for our customers. Waste disposal in Tower Hill, EC3 is an expensive affair for the most part and Handy Rubbish is one waste removal company that offers a number of options to their customers where they can save money. One of the most popular deals that we offer is our loyalty discount where we offer unbelievably low prices on our services to customers who choose long-term service options. This is our way of extending a hand of friendship and mutually beneficial cooperation between us and our customers. If you are looking for rubbish removal services, give us a call on 020 3540 8282 and we will be pleased to offer you a fantastic discount that you will probably not find anywhere else. It took them half an hour to clear out my basement in Tower Hill. It was the fastest and cheapest rubbish disposal service I have ever used in EC3! Tower Hill is a part of the London Borough of Tower Hamlets, located north west of the Tower of London just to the east of City of London boundary. This area is one of the oldest parts of London with archaeological evidence suggesting that there was a settle on the hill during the Bronze Age. It was previously known as Great Tower Hill and was historically a site for public executions; the Tower Hill Memorial stands in the site today. The main modes of transport in the area are the London Underground and DLR which operate at Tower Hill tube station and Tower Gateway DLR station respectively.